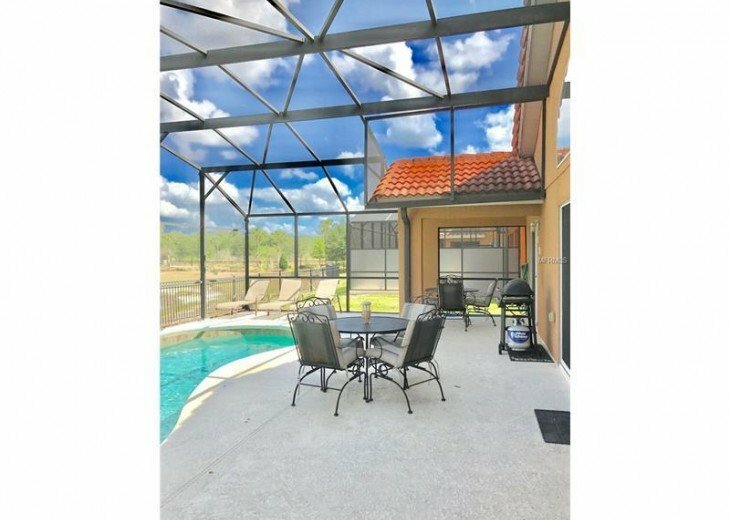 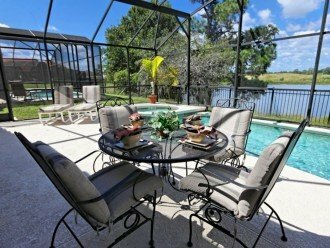 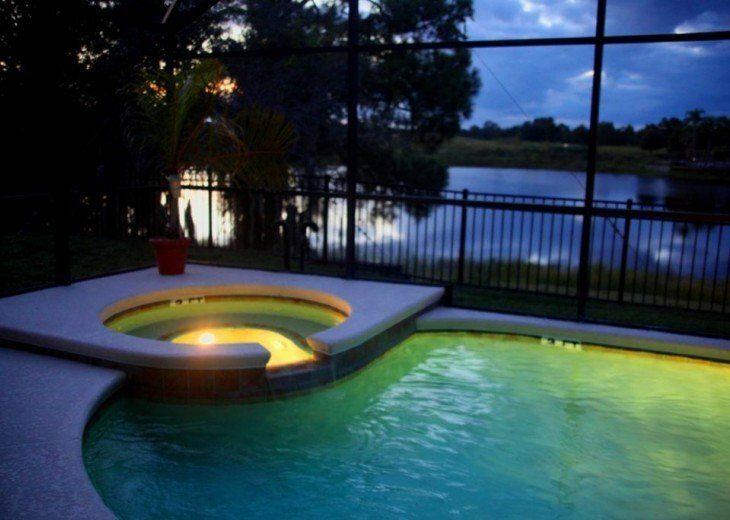 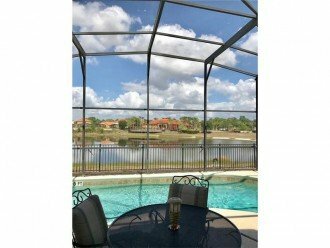 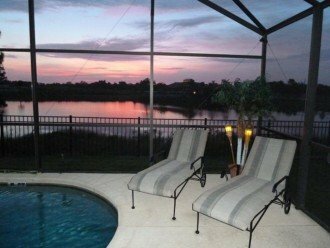 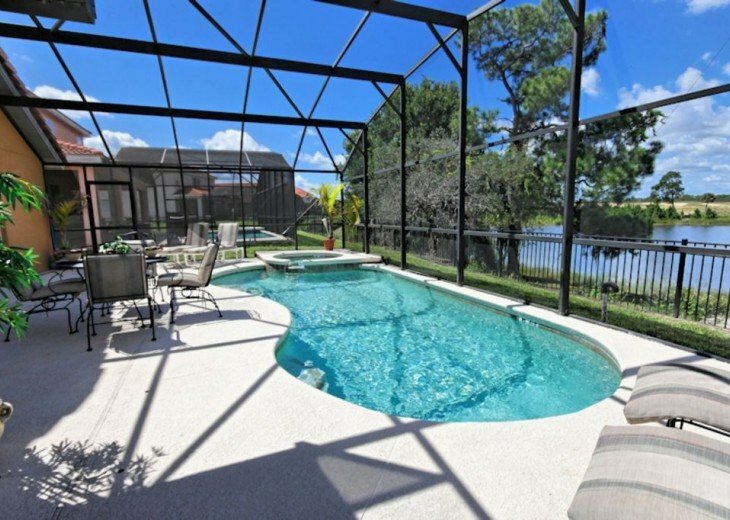 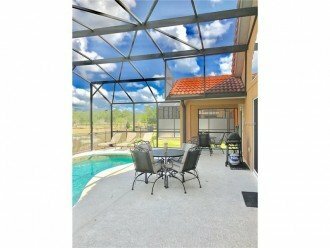 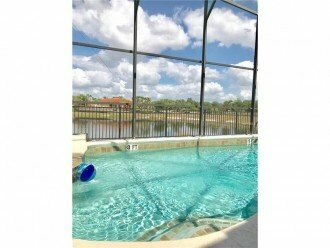 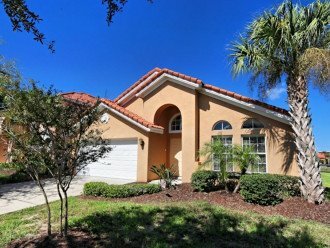 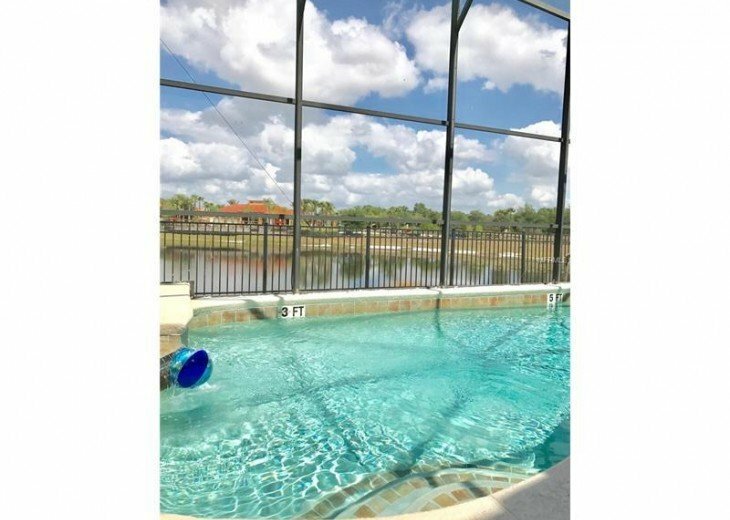 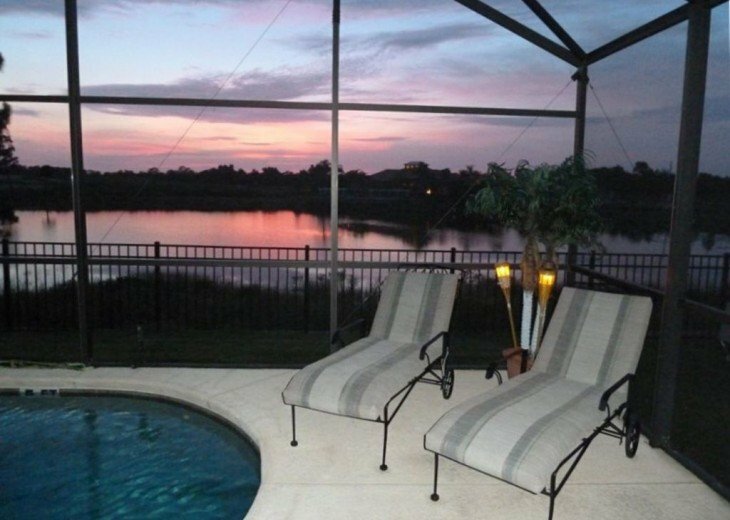 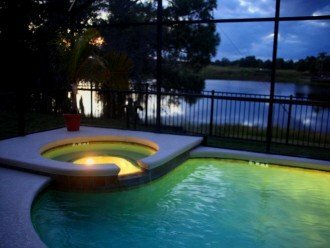 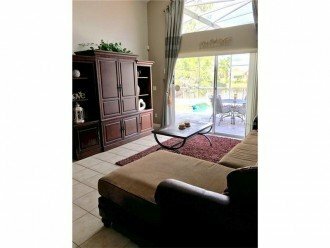 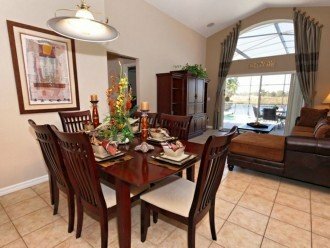 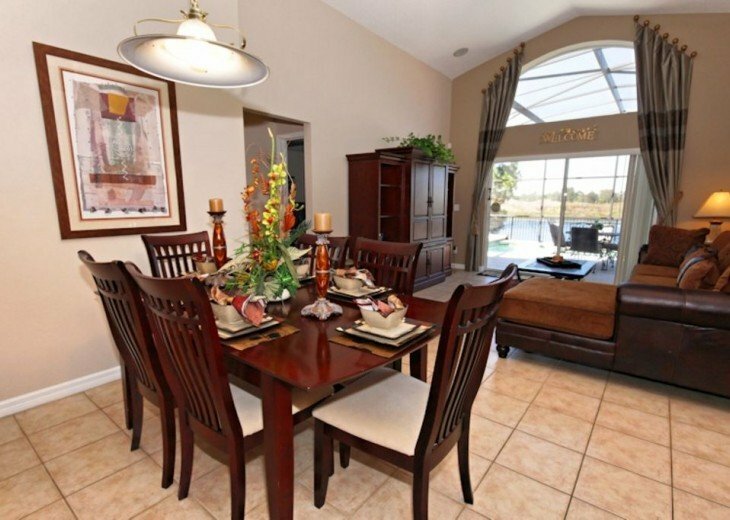 This Orlando vacation home with pool has fantastic views of the lake. 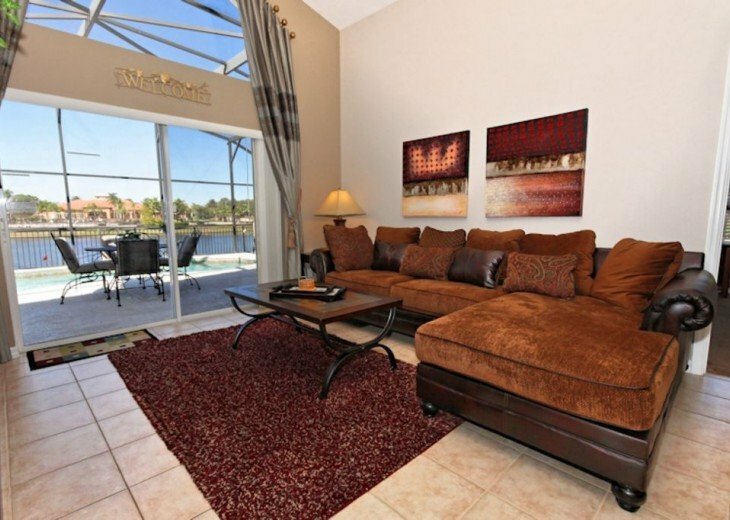 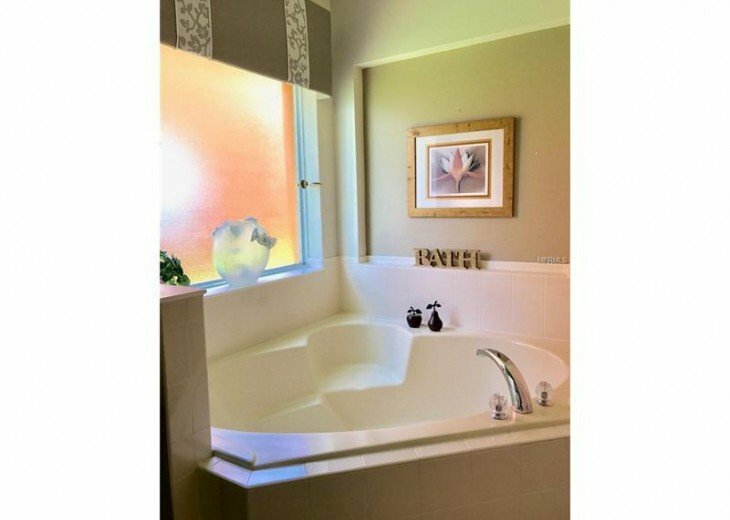 The exclusive Aviana Resort is rich with exotic flowers and palm trees and offers a relaxing retreat from Orlando’s busy tourist corridor. 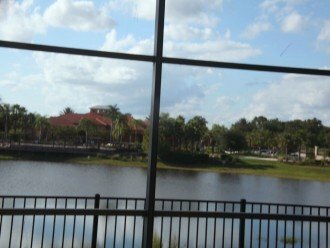 Yet it’s only minutes away from world famous attractions like Walt Disney World that draws millions of visitors every year. 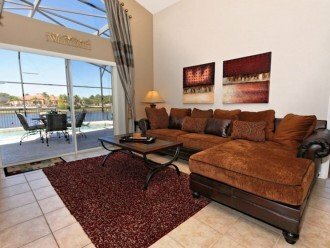 If there is an avid golfer in your group they’ll be pleased to know that the Aviana Resort is just down the road from Providence Golf Club and only minutes from Champions Gate Golf Resort which was designed by Greg Norman. 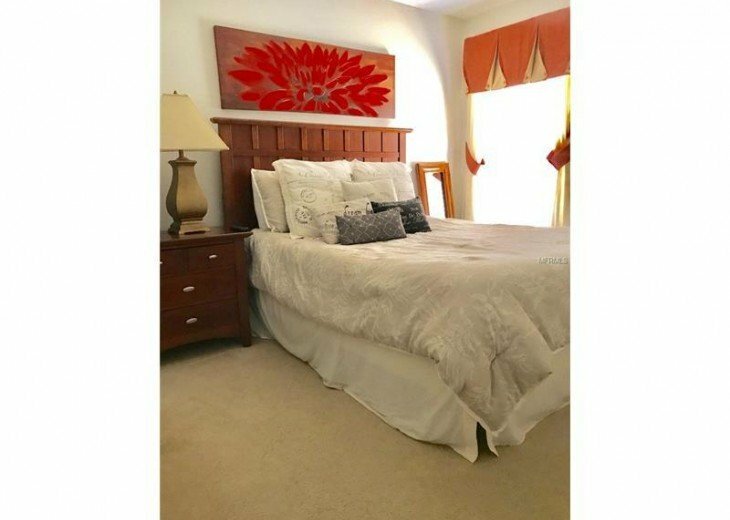 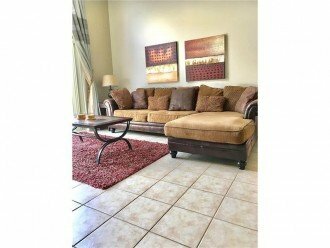 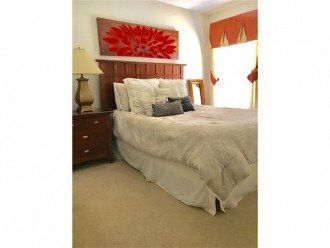 4 bedroom, 3 bath vacation home sleeps 8 comfortably in beds and two more on a sofa bed for 10 guests. 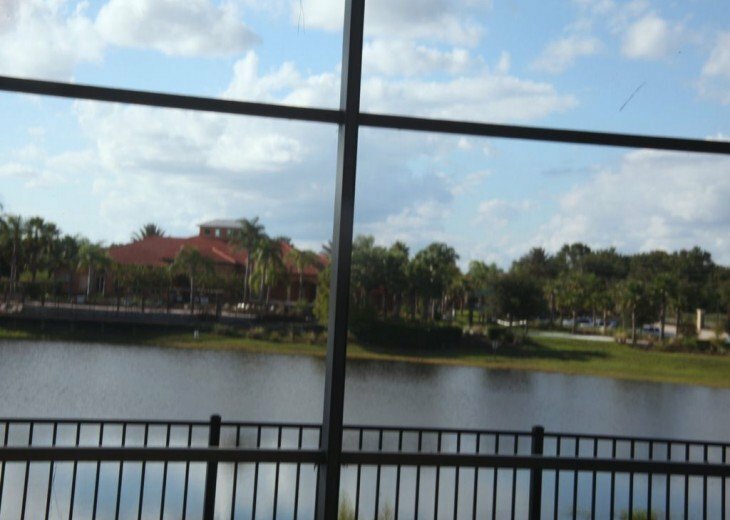 This is a premium location in the resort. 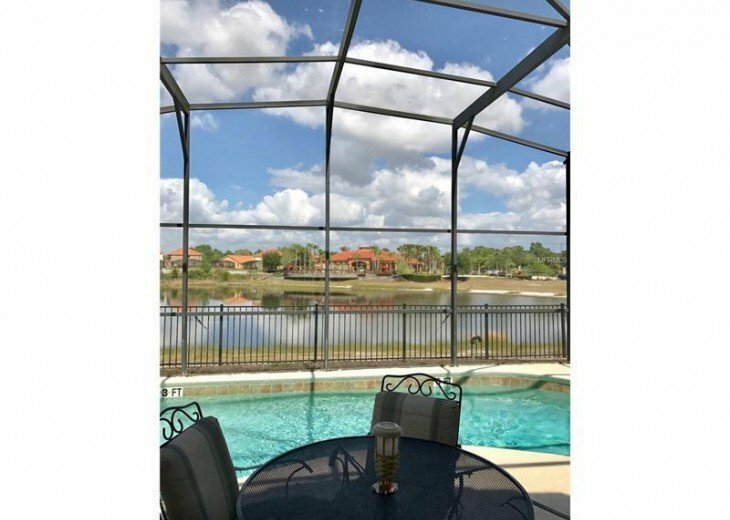 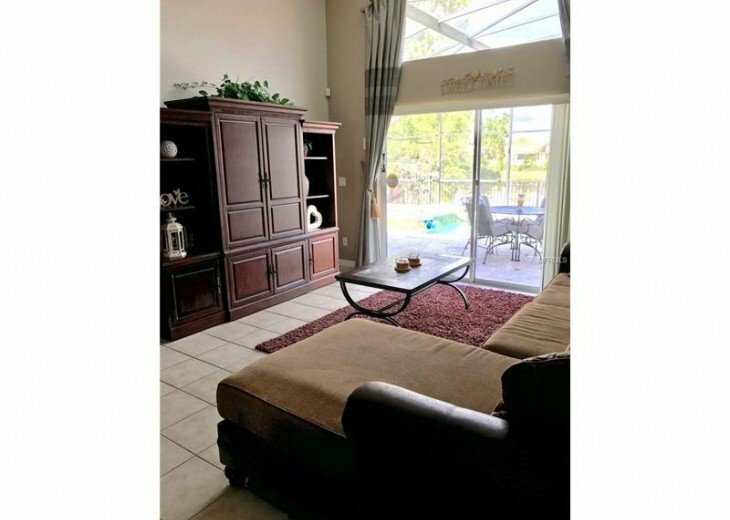 With sweeping views of the lake from your pool and spa and its an easy walk to the clubhouse from your front door, this is the perfect home in the perfect location. 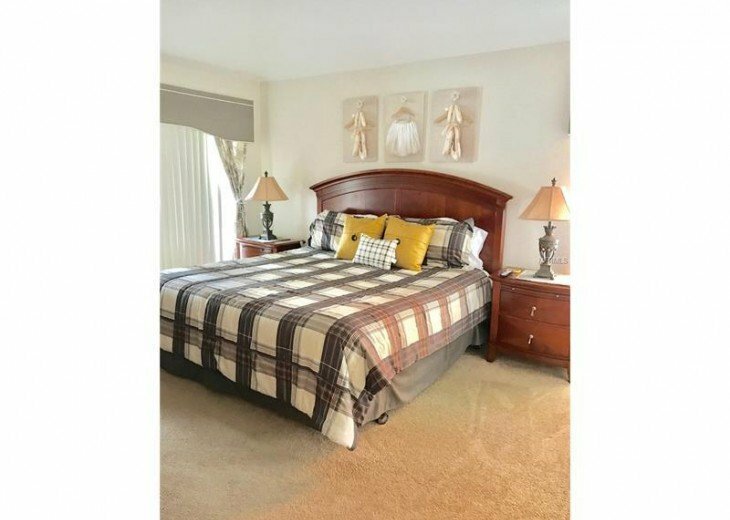 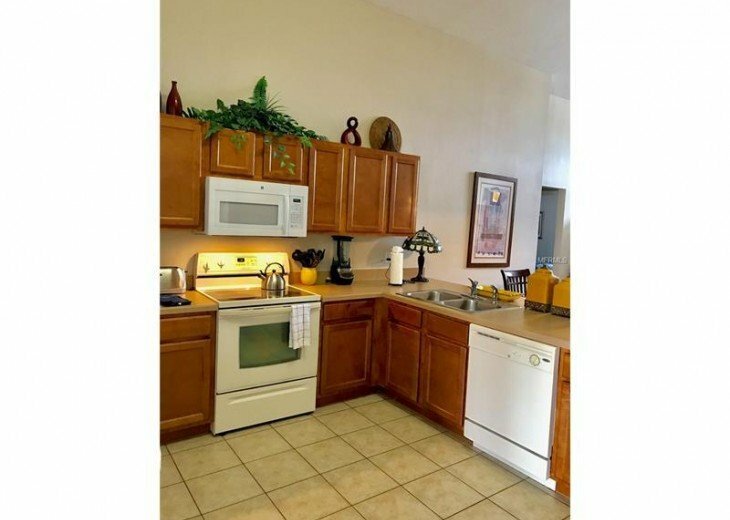 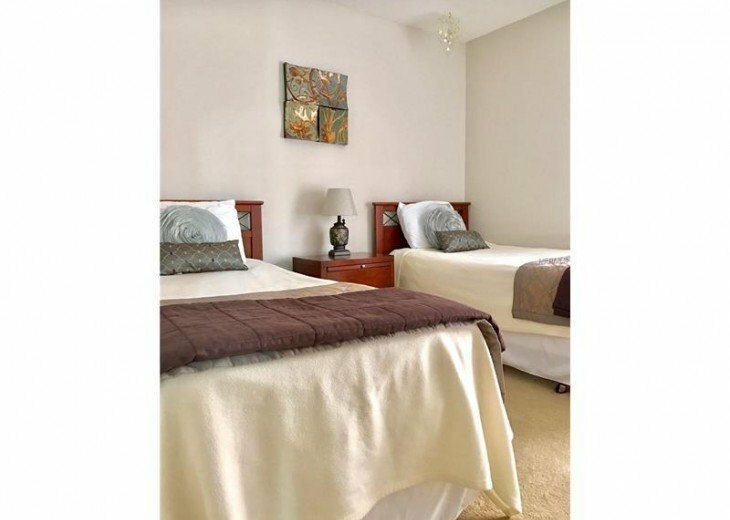 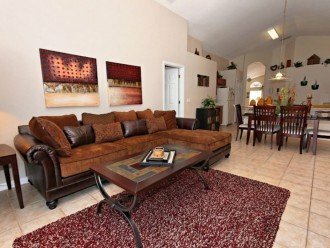 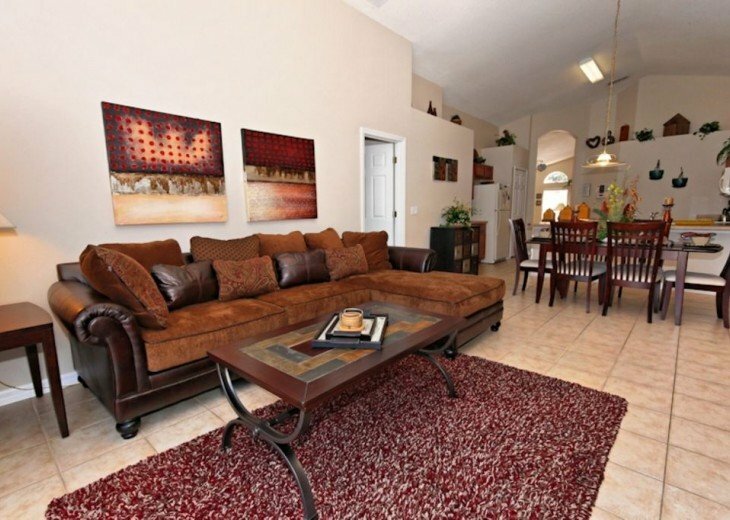 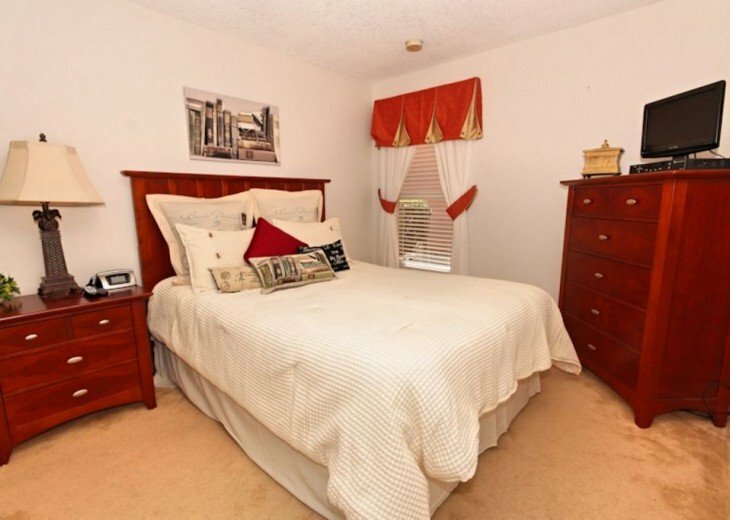 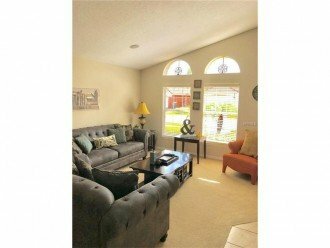 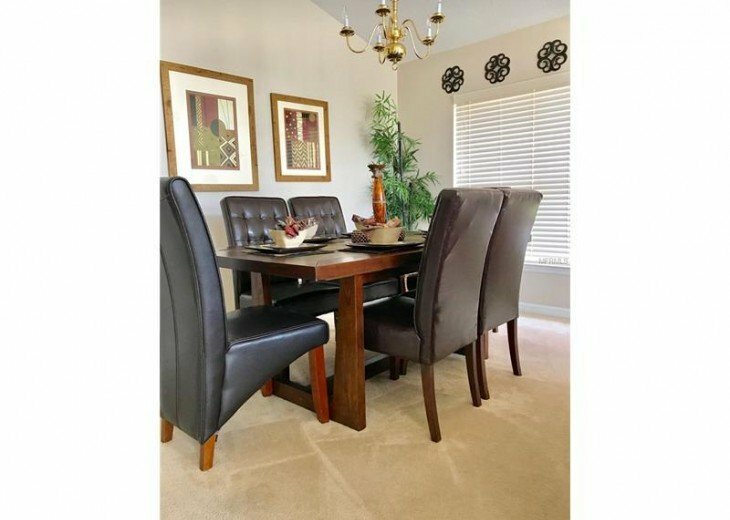 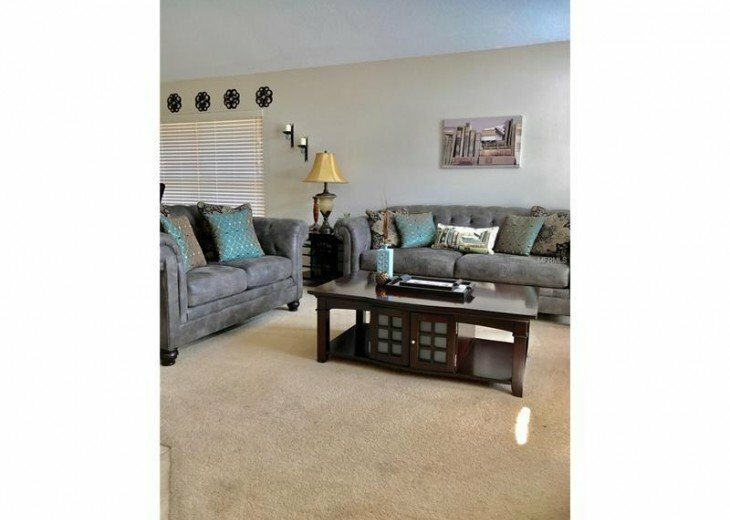 You'll love the spacious family room with comfortable deep sectionals and a large flat screen television. 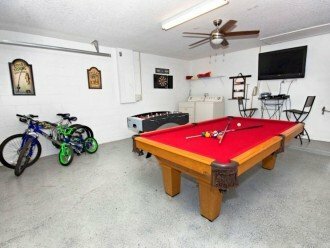 The game room has a pool table, foosball and a 50" television as well as bicycles and a dart board. 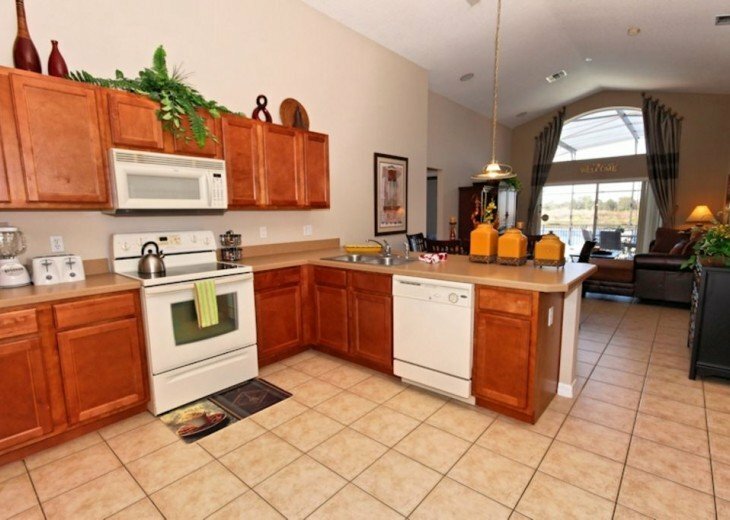 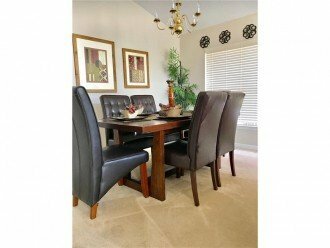 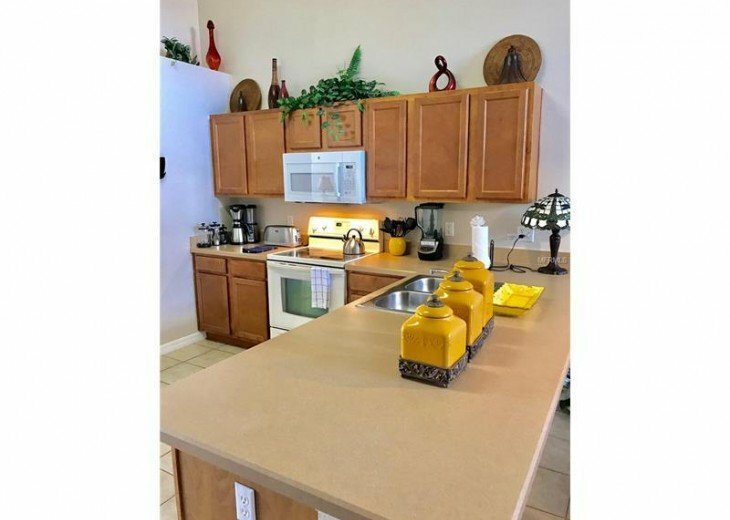 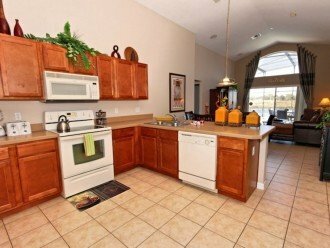 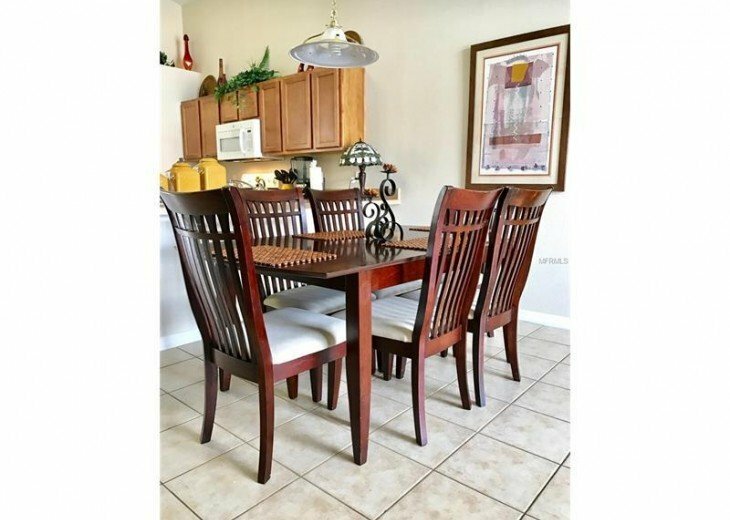 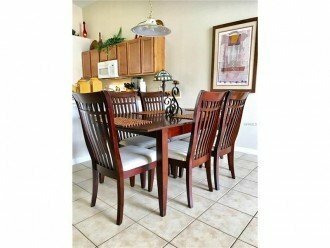 The kitchen and dining room in this house was fitted for the chef in your family. 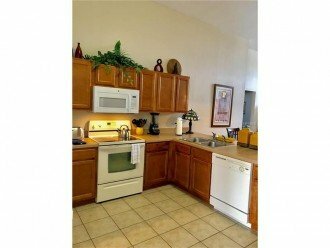 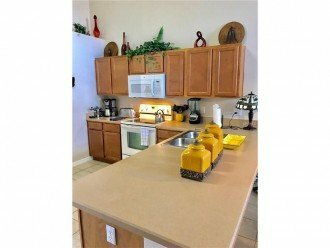 It's very well equipped to cook any meal and the dishes and utensils will feel like you are home. No expense has been spared in this house. 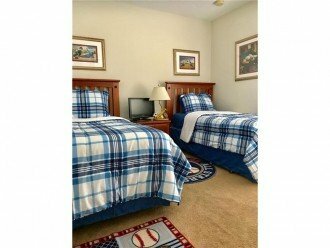 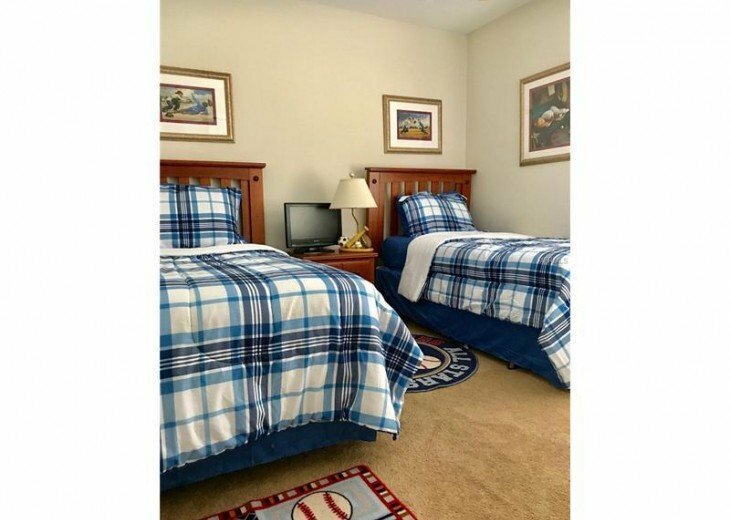 Two twin size beds with a flat screen TV. 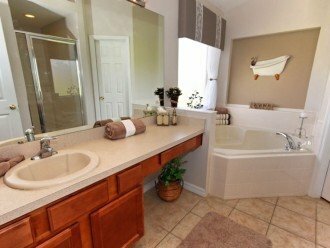 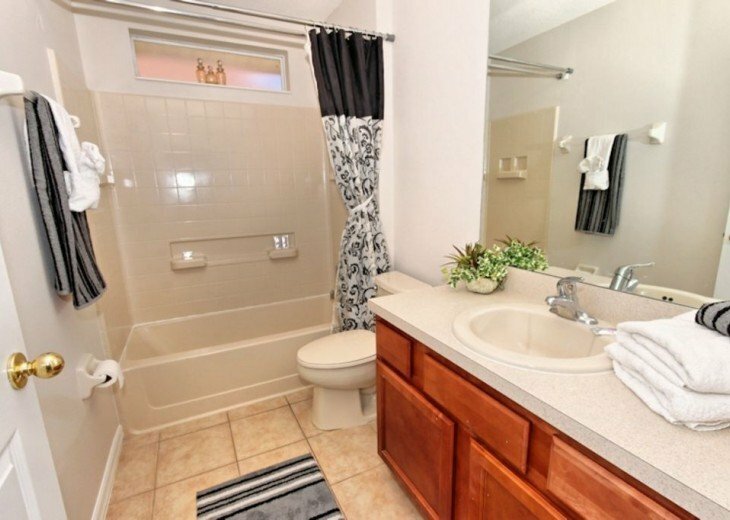 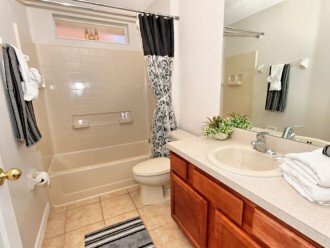 The 3rd and 4th bedrooms share a family bathroom.